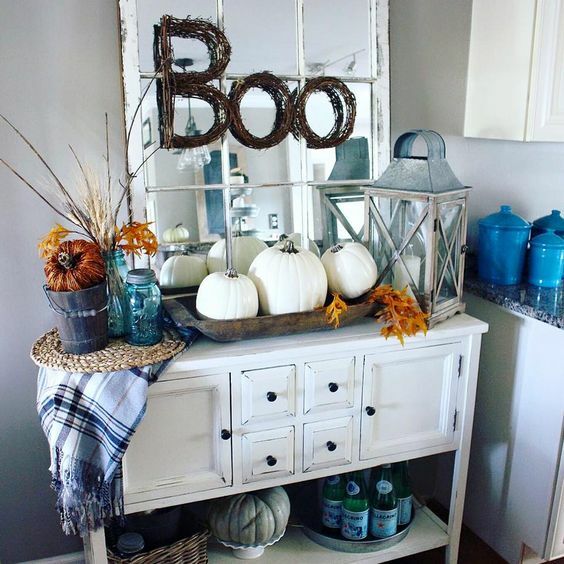 Haven't decorated for fall yet? Don't worry! I'm here to help you catch some #fallvibes today! 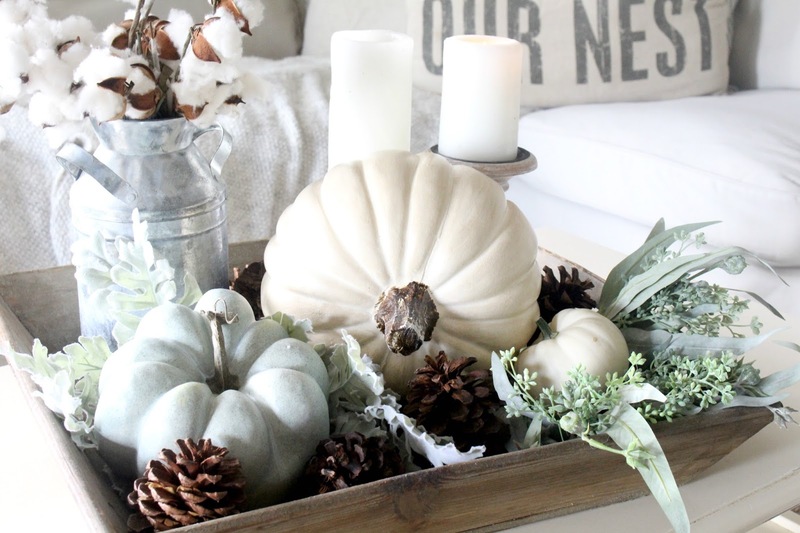 Fall decor doesn't have to be hard and it definitely doesn't have to cost a ton of money! I realize it's the end of October and we're coming up on November soon, you know what comes after November and I won't yet say the word. But It revolves around a jolly guy in a red suit that brings presents. 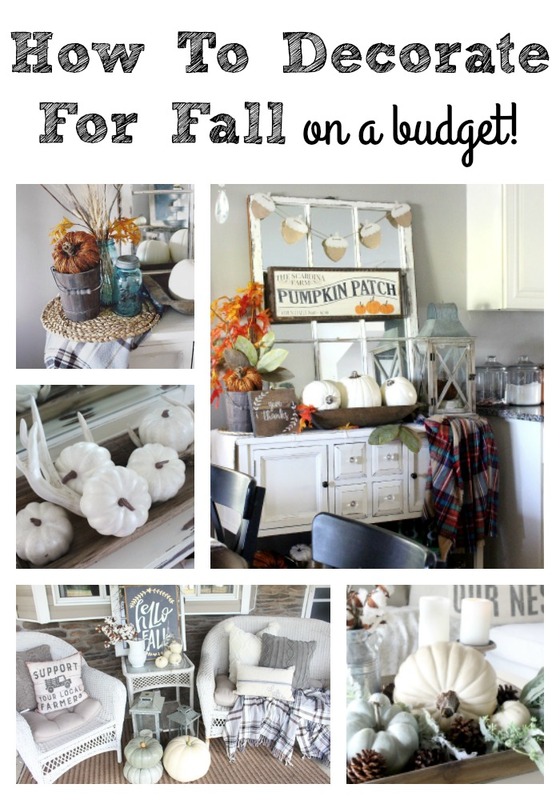 Today I wanted to share a few ways you can decorate for Fall and Thanksgiving fairly quickly and on a budget. Pumpkins CAN be expensive. If you don't shop for them at the right places! I've purchased pumpkins from Home Depot, The Grocery Store and other big box stores and I've spent way more then I probably should on something that's going to die in a few weeks. However, you can get faux pumpkins for almost the same cost as real pumpkins and they'll last forever! 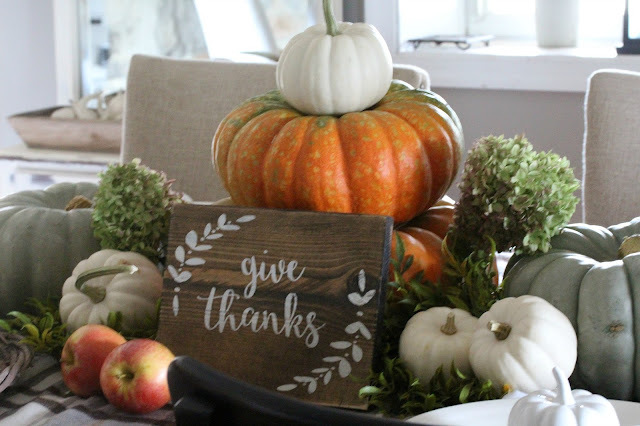 This time of year they are often times discounted and marked down so you can still decorate for Thanksgiving now and be prepared for next year. 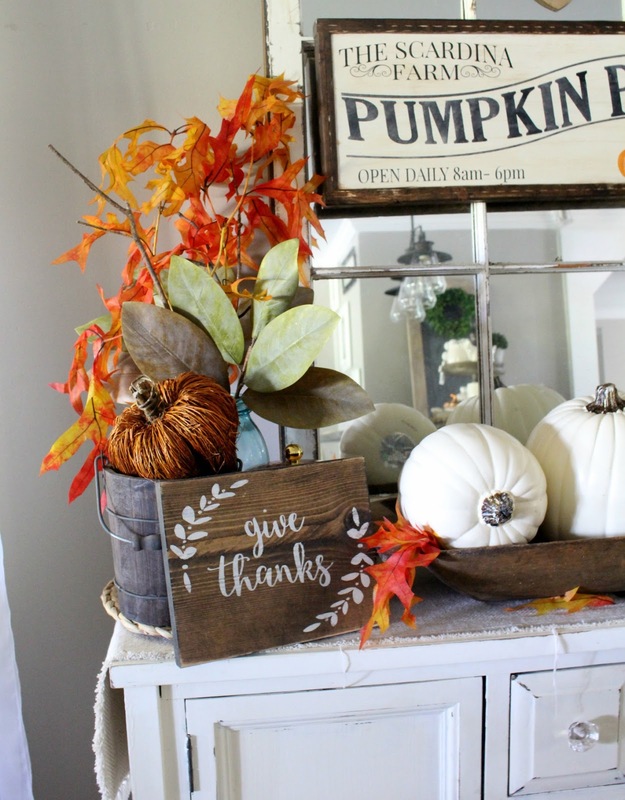 I love these faux pumpkins I got at Micheal's- I've used them in so many ways. In vignettes on my coffee table, in baskets, in dough bowls, or by themselves. 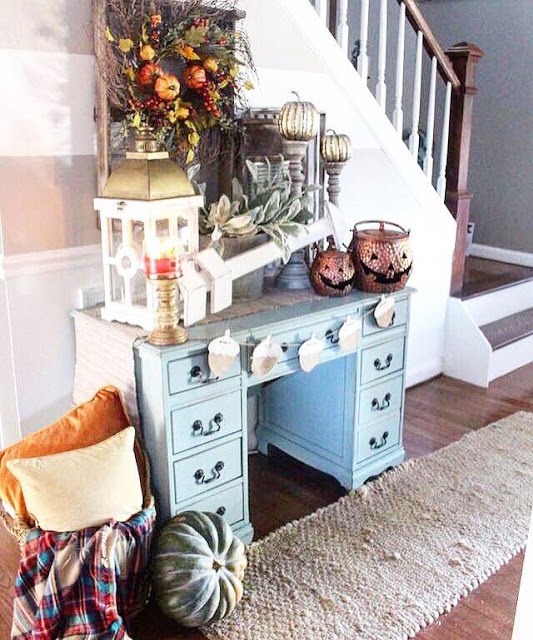 Adding pumpkins to any space will instantly make it feel more like Fall. And it's the easiest thing every to do! Most of the time these are F-R-E-E. I did spend $5 to purchase some oak stems but they're worth it because they last all season, I'm sure you could find some leaves in your own back yard to incorporate into your decor. If not, branches work just as well! And almost everyone has some of those laying around. I like putting mine in vases and bowls but you can just display them alone too! 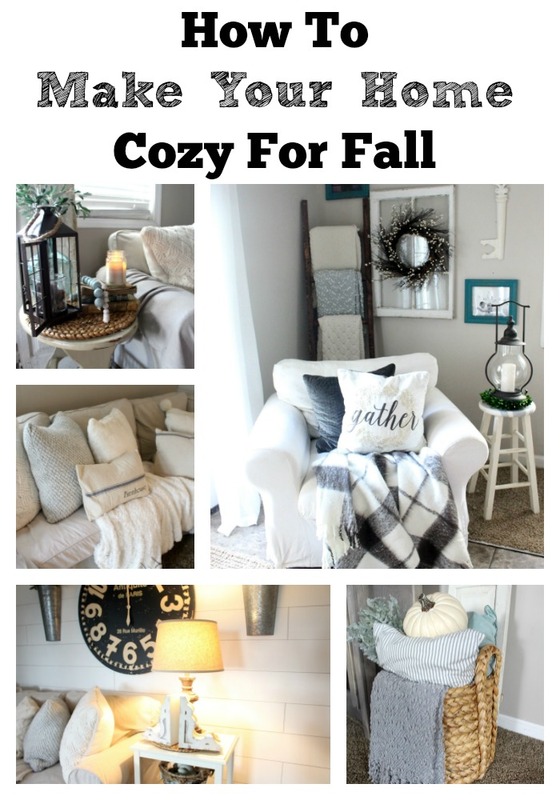 A great way to make a space feel more cozy and fall like without spending a ton of money or time. Wreaths are my favorite thing, I blogged about some of my everyday farmhouse basic ones here but if you're on a budget and just want to decorate quickly- a simple twig wreath always looks great hanging anywhere! You can get them for under $5 at Wal-Mart usually! If you want to incorporate some color you can always buy some Chalk Paint Spray Paint and spray them a neutral or fun color for the season. 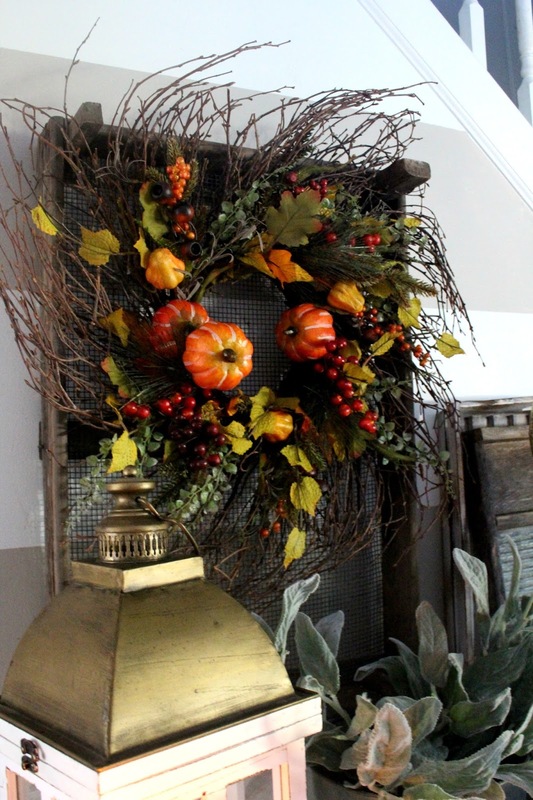 Wreaths are great hanging on old windows, old doors, new doors, in crates, pretty much wherever! Just adding one can add so much to an otherwise drab space. In my opinion fall is all about natural elements so a simple twig wreath is a great way to bring nature inside. Is there anything more comforting then a smelly fall candle? I don't think so. Some of my favorites currently can be found here and here. 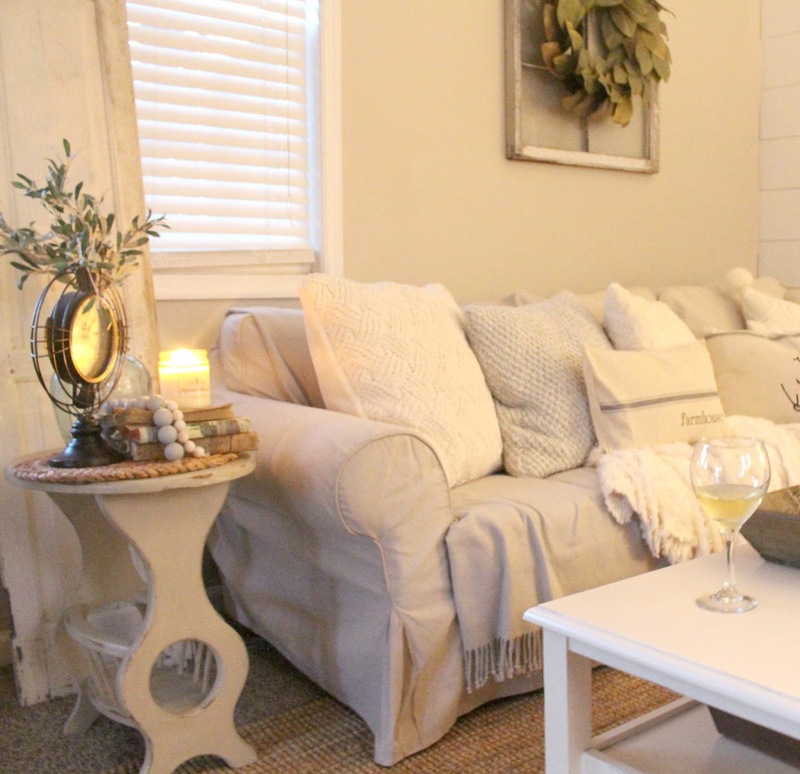 Adding a candle to a space instantly makes it more cozy and fall like! Put a pot out on your front porch beside some pumpkins and INSTANTLY feel the fall vibes. 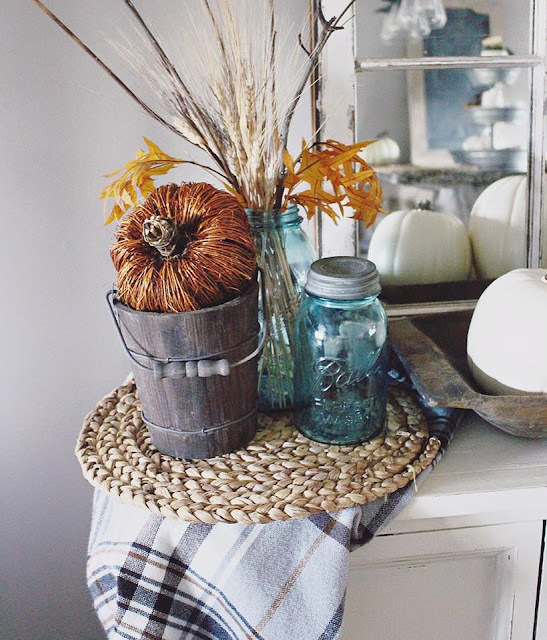 A cozy plaid print just screams fall! And a neutral colored one like this can easily transfer to other seasons. Add one to your favorite cozy chair or sofa and let the Halloween movie marathons begin! 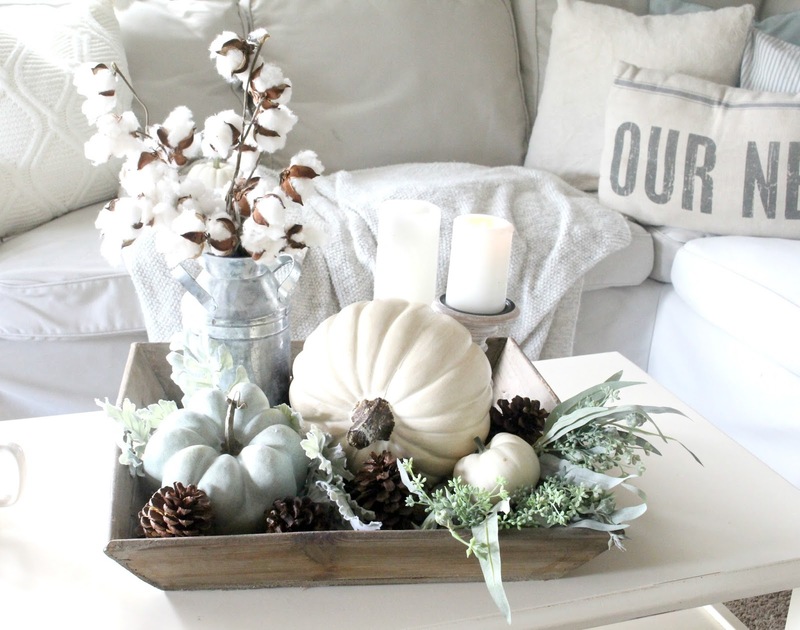 Fall is all about making your home cozy and inviting. At least in my humble opinion. I love hearing from you! Feel free to chat with me on Instagram, or Facebook! You can also leave a comment here and I'll respond as soon as I can! So excellent tips as per the usual! Throw blankets and candles add such a quick bang for your buck!! I love the "free" ideas like throw blankets and candles. I'm still waiting for our oak trees' leaves to turn so I can use some of the branches too. They seem to think fall isn't hear yet. I wish we would have some color change around here so I could go pull some leaves and stems! These are all great ideas! so informative post! i also liked the throw blankets and candles.